Canada’s Stars Group is to provide online betting and gaming in the US states where Eldorado Resorts currently operates, under an agreement signed this week. At present the agreement covers 11 states, Colorado, Florida, Illinois, Indiana, Iowa, Louisiana, Mississippi, Missouri, Nevada, Ohio and West Virginia. These states will join The Stars Group’s current access to New Jersey and Pennsylvania. 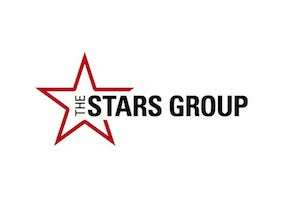 The Stars Group has the option to own, operate and brand real-money online sports betting, poker and casino offerings in each of the states subject to a licence, local laws and approvals. Under the agreement, Eldorado takes a revenue share from the operation plus one million common shares at a price of US$23.22 each for a value of $25m and an additional $5m of common shares upon The Stars Group’s exercise of the option. The Stars Group provides content for gaming and interactive entertainment through brands such as PokerStars, PokerStars Casino, BetStars, Full Tilt, BetEasy, Sky Bet, Sky Casino and other brands. Eldorado Resorts has 28 properties in 13 states, featuring 12,500 hotel rooms and 30,000 slots with 800 table games.